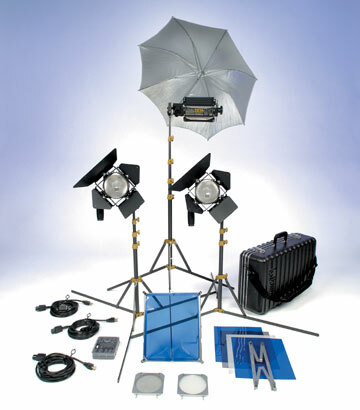 The classic 3 point light kit for small to medium sized location sets. 2 500w focusable Omni-lights with barndoors for key & fill, and a Tota-light to evenly light up the background. 3 Uni-TO Stands are included, as well as light controls for added versatility. Supplied with lamps.